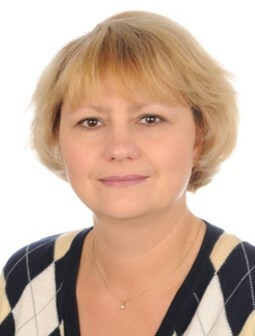 Tetyana Morozyuk (Tatiana Morosuk) is professor of Exergy-Based Methods for Refrigeration Systems at the Technische Universität Berlin, Germany. She studied refrigeration engineering in the Odessa State Academy of Refrigeration, Ukraine, and received her Diploma in 1990. She received her Ph.D. in 1994 and Professorship in 2001, all in the Ukraine. Her field of scientific activities is the application of modern exergy-based methods to the analysis and improvement of energy conversion systems: development and applications of exergy-based methods to the improvement of the thermodynamic, economic, environmental performance of different power generation systems, refrigeration/cryogenic systems and chemical plants. Particular attention is given to systems associated with the liquefaction of natural gas and the regasification of LNG, alternative refrigeration processes for sustainable industrial and commercial applications, and smart energy supply and use in industrial parks, including innovative concepts of liquid air energy storage. She is the author or co-author of 7 books and more than 250 publications, and has 10 patents. She has over twenty years of experience and related teaching experience in the fields of refrigeration and over ten years in the field of applied thermodynamics, energy engineering, exergy analysis, exergoeconomics, exergoenvironmental analysis.